We found this at Toys R Us last weekend marked down 50%. 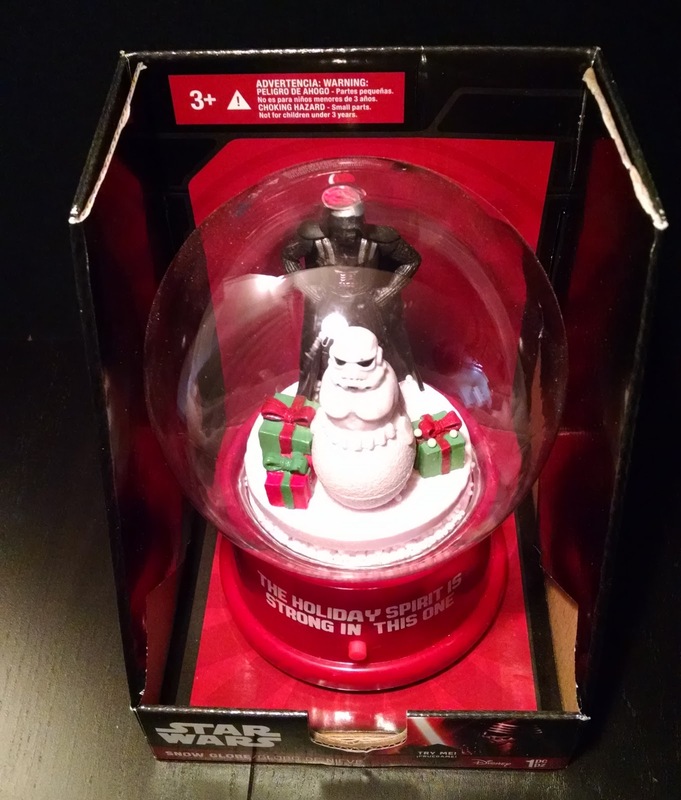 Retail price would have been $17, and I'm not stupid enough to pay that much for a stupid musical "snow globe". But $8.50? Now that's just about precisely how stupid I am. You'll not the quotes above around the word, "snow globe." That's because, as far as I'm concerned, this isn't a snow globe. I'd contend that, to qualify for the term, a clear globe must be filled with water and flecks, and that's not what this is. Instead, they've scattered tiny styrofoam pellets that are blown around by a loud fan when this is activated. To accompany the fan, the globe loudly (extremely loudly) plays midi versions of Christmas songs. This comes with ten clips, listed on the back of the package. 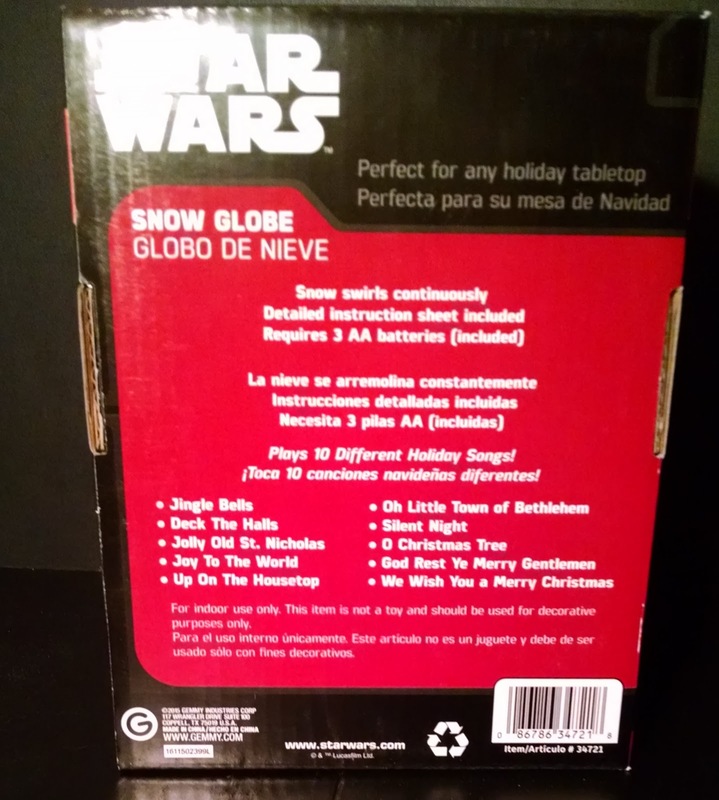 Unfortunately, that's all it's got - there's no Star Wars music on this thing. That seems like a missed opportunity: my guess is they didn't want to pay John Williams to licence the theme. Or maybe they just wanted to avoid having to install different chips in different versions - there's a Disney Princess themed globe, as well.